Auto glass repair: Spencer Auto Glass has been providing quality auto glass repair in St Louis longer than just about anyone else. We’re quick, affordable, experienced and always honest with you about our process and our prices. If a rock hits your windshield, don’t let that crack or chip inhibit your driving—let us fix it up for you today. 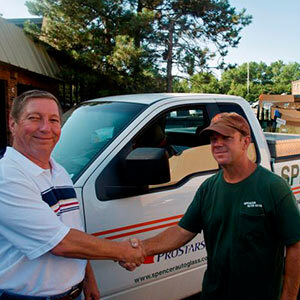 Auto glass replacement: Sometimes a windshield just can’t be salvaged. When you need auto glass replacement in St Louis, our courteous employees will work with you to find and install a suitable replacement at the best price possible. We work with PGW and Pilkington glass, so you know you’re getting good value for your money. Mobile service: We know that when your windshield cracks to pieces, just getting it into the repair shop can be impossible. That’s why Spencer Auto Glass offers mobile auto glass repair to all of St Louis. We are the auto glass shop in St. Louis most often preferred by major insurance companies, which means we’ll work with them to keep your costs as low as possible. Same or next day service: For those who can’t wait on a broken window, we gladly offer same or next day auto glass repairs and replacements. We’ll have your car back to driving condition in no time, with as little disruption to your daily routine as possible. 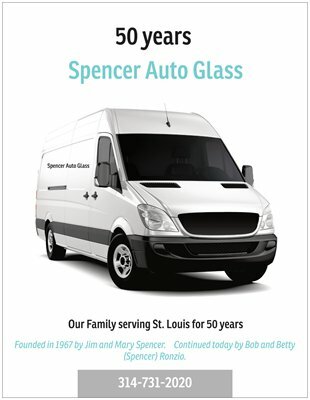 Give Spencer Auto Glass a call today at 314-731-2020 for more information about all of our services.